In the Seating category, we offer you a large selection of seating furniture for equipping general practices, hospitals and nursing homes. 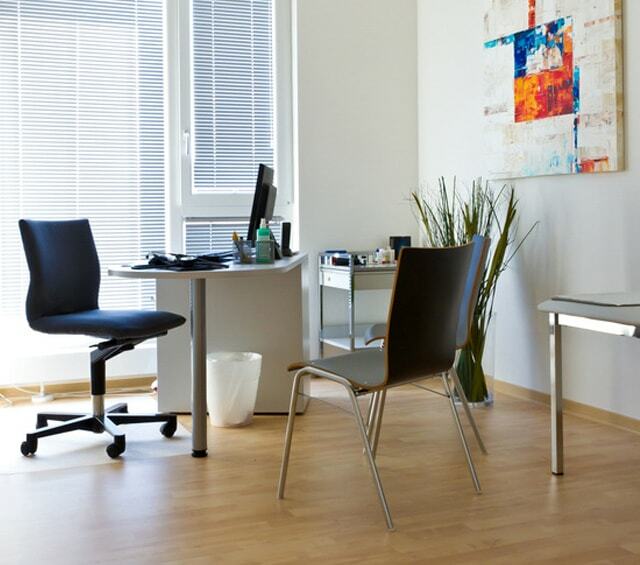 In addition to office chairs and stools for the personnel, we also offer seating options for patients, which include armchairs, blood drawing chairs and wheelchairs. Here, you will find a large selection of phlebotomy chairs and dialysis chairs in a variety of models and colours. Height-adjustable swivel stools with comfortable sitting surfaces and robust padding - ideally designed for everyday practice use. Try out our new stool configurator! Swivel chairs are ideal for use at reception desks or in secretarial offices. Here, we offer a wide assortment of swivel chairs in a variety of models and colours. Shower chairs and stools for patients with limited mobility. We offer you practical shower stools and chairs at affordable prices. Discover our wide selection of recliners and bariatric chairs for hospitals and care facilities. Here, you will also find special dialysis chairs in different models. We offer a wide selection of professional office chairs e.g from Rohde & Grahl, which ensure an ergonomic seated position. In this category, you will find wheelchairs designed for transport weak and movement impaired patients. Cantilever chairs are ideal for furnishing waiting areas and as patient chairs in meeting rooms. Chiropody chairs, cosmetic chairs or cube seats: in this category, you will find all kinds of seating options for special requirements. Discover our wide selection of traditional and modern waiting room chairs for furnishing all kinds of waiting areas. The category Seating contains all seating options that a practice, surgery, clinic or care facility could need. Here, you will find the largest selection of comfortable, high-quality chairs for your waiting room, for example. From classical wooden chairs and stacking chairs to cantilever chairs and even waiting room armchairs - we offer you the appropriate waiting room furniture for every taste. For care facilities and hospitals, we retain a large selection of high-quality and functional care seats. The individually adjustable, nicely upholstered recliners can be used during dialysis or short-term treatement. Many of our available seating options, such as lab stools or blood collection chairs, are equipped with an hygienic, synthetic leather cover, which provides for easy washing and a disinfectable surface. Blood collection chairs offer the patient the highest possible comfort, while blood is being drawn. The heavily upholstered arm rests pleasantly hold the patients' arm during collection. Our practical, folding wheelchairs allow you to easily and comfortable transport your patients throughout the facilit. The robust wheelchair is equally suited for indoor and outdoor use and can even be folded up for space-saving storage. Praxisdienst offers your high-quality seating furniture for all medical disciplines, at the lowest prices.